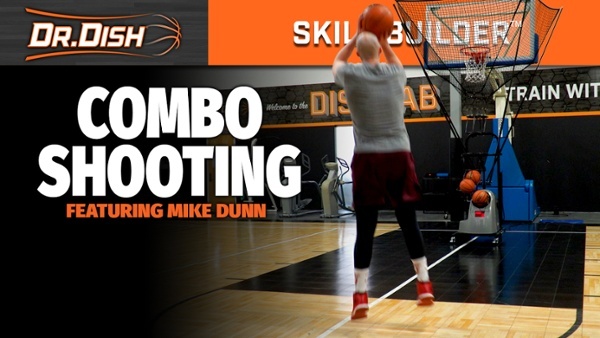 Our friend and shooting guru Mike Dunn is back in the Dish Lab with a great combo shooting workout! Throughout this workout Mike gives us great pro-tips on how to maximize your time in the gym. Check it out in action with Mike's tips below! With Dr. Dish Skill Builder you can choose this workout and the machine will seamlessly transition from each drill to drill without having to reprogram the machine. Give it a try with or without a Dish and see how many shots you can make!